Norwegian Cruise Line today announced Norwegian Epic’s 2015-2016 winter itineraries from her new year-round homeport of Barcelona, Spain. From Nov. 29, 2015 through April 7, 2016, Norwegian Epic will set sail from Barcelona on 10-day Canary Islands and Morocco itineraries, and 10-, 11- or 12-day Western Mediterranean itineraries. 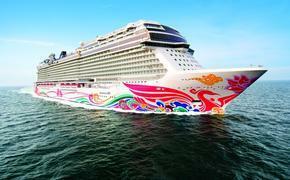 Norwegian Epic’s new Europe itineraries will open for sale in April 2014. Norwegian Epic will offer 10-day Canary Islands and Morocco itineraries from Barcelona starting Nov. 29, 2015. Norwegian Epic’s Canary Islands & Morocco itineraries will encompass some of the most sought after ports of call along the North Western Coast of Africa and will visit: Tangier, Morocco; Las Palmas, Gran Canaria, Spain; Santa Cruz de Tenerife, Tenerife, Spain; Funchal, Madeira, Portugal; and Málaga (Granada), Spain. Sail dates are: Nov. 29, 2015; Jan. 3, 24, 2016; Feb. 14, 2016; and March 6 and 28, 2016. Guests looking to celebrate Christmas 2015 on board Norwegian Epic can do so on a nine-day Canary Islands & Morocco itinerary on Dec.19, 2015. Guests cruising for Christmas will visit Tangier, Morocco; Las Palmas, Gran Canaria, Spain; Santa Cruz de Tenerife, Tenerife, Spain; and Málaga (Granada), Spain. Guests wishing to cruise to the Western Mediterranean on Norwegian Epic can cruise on their choice of six-, 10-, 11-, and 12-day itineraries. 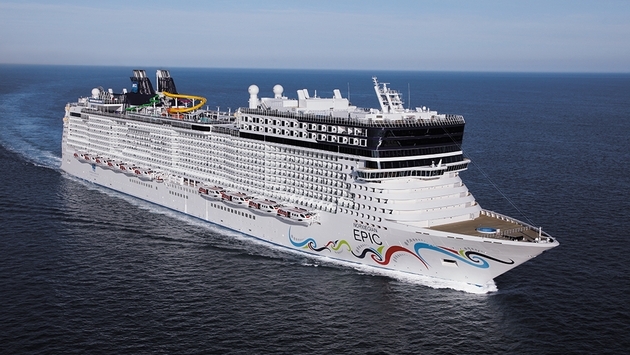 Norwegian Epic’s 11-day itinerary features ports of call including Cagliari, Sardinia, Italy; Carthage, Tunisia; Palermo, Sicily, Italy; Naples (Pompeii), Italy; Civitavecchia (Rome), Italy; Livorno (Florence/Pisa), Italy; Palma, Majorca, Spain; and Barcelona, Spain, and will be offered on Jan. 13, 2016 and Feb. 3 and 24, 2016. On Dec. 9, 2015 and April 7, 2016, Norwegian Epic will sail two 10-day Western Mediterranean itineraries that visit Cagliari, Sardinia, Italy; Carthage, Tunisia; Palermo, Sicily, Italy; Naples (Pompeii), Italy; Civitavecchia (Rome), Italy; and Livorno (Florence/Pisa), Italy. Guests looking to cruise through the New Year can set sail on December 28, 2015, from Barcelona on a six-day cruise. Ports of call include Civitavecchia (Rome), Italy; Naples (Pompeii), Italy and Palma, Majorca, Spain. Norwegian Epic’s final cruise of the winter season, on March 16, 2016, will be a 12-day Western Mediterranean that visits Cagliari, Sardinia, Italy; Carthage, Tunisia; Palermo, Sicily, Italy; Naples (Pompeii), Italy; Civitavecchia (Rome), Italy; Livorno (Florence/Pisa), Italy; Palma, Majorca, Spain; and Valencia, Spain.